Step out of Las Vegas to go to Boulder City and see Hoover Dam, which is approximately 50 minutes away. And it doesn't end there: ponder the design of Bellagio Fountains, try to win big at Paris Las Vegas, see the interesting displays at The Mob Museum, and explore the wealth of natural beauty at Red Rock Canyon National Conservation Area. To see more things to do, other places to visit, where to stay, and more tourist information, you can read our Las Vegas day trip planning website . Helsinki, Finland to Las Vegas is an approximately 17-hour flight. You can also do a combination of train and flight; or do a combination of ferry and flight. The time zone changes from Eastern European Time (EET) to Pacific Standard Time (PST), which is usually a -10 hour difference. In June, Las Vegas is much warmer than Helsinki - with highs of 46°C and lows of 29°C. Finish your sightseeing early on the 12th (Wed) to allow enough time to travel to San Francisco. San Francisco is known for nature, museums, nightlife, shopping, and childrens museums. Your plan includes some of its best attractions: snap pictures at Golden Gate Bridge, get curious at Exploratorium, wander the streets of SoMa, and explore and take pictures at AT&T Park. To find more things to do, reviews, ratings, and more tourist information, use the San Francisco visit app . You can fly from Las Vegas to San Francisco in 4 hours. Alternatively, you can drive. Prepare for much colder weather when traveling from Las Vegas in June: high temperatures in San Francisco hover around 25°C and lows are around 15°C. Wrap up your sightseeing on the 16th (Sun) early enough to drive to Yosemite National Park. Yosemite National Park is known for nature, trails, scenic drive, wildlife, and museums. 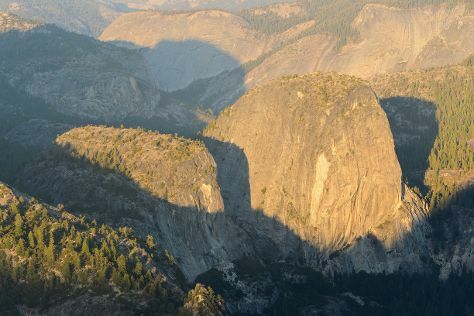 Your plan includes some of its best attractions: take in the dramatic natural features at Glacier Point, admire all the interesting features of Tioga Pass, hike along Tuolumne Meadows, and make a trip to Yosemite Village. Plan my day in Yosemite National Park using traveler tips and tourist information provided by Inspirock. Getting from San Francisco to Yosemite National Park by car takes about 4 hours. Other options: do a combination of flight and car; or do a combination of flight and bus. When traveling from San Francisco in June, plan for somewhat warmer days in Yosemite National Park, with highs around 30°C, while nights are little chillier with lows around 7°C. Cap off your sightseeing on the 20th (Thu) early enough to travel to New York City. New York City is known for museums, nightlife, shopping, historic sites, and parks. Your plan includes some of its best attractions: go for a walk through Central Park, admire the striking features of Rockefeller Center, explore and take pictures at The High Line, and explore the galleries of The Metropolitan Museum of Art. For where to stay, other places to visit, traveler tips, and other tourist information, use the New York City route planning site . Getting from Yosemite National Park to New York City by combination of car, flight, and bus takes about 11.5 hours. Other options: do a combination of bus and flight; or drive. The time zone difference moving from Pacific Standard Time (PST) to Eastern Standard Time (EST) is 3 hours. Traveling from Yosemite National Park in June, expect much hotter with lows of 21°C in New York City. Finish your sightseeing early on the 24th (Mon) to allow enough time to travel back home.